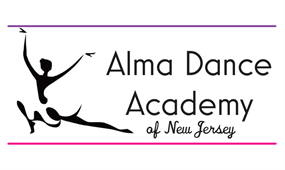 Welcome to Alma Dance Academy of New Jersey! Please complete the following registration form. Students are enrolled and financially responsible for the entire 11-month session from September through the end of July. (INCLUDING MONTH OF AUGUST). The one time, registration fee of $30 will be due at registration; this fee is non-transferable and non-refundable. Registration and 1st and last month tuition is due upon registering. Monthly Tuition will be due between 1-7th month's payment. Tuition will be considered late after the 7th day of each month. You will be able to access and pay online, details to follow. Cash: a receipt will be emailed to you. Checks: returned checks will assess a $25 returned check fee. Automatic payment: STRONGLY SUGGESTED: ACH or ETF to be processed by the 3rd of every month. Please only register for classes your family can financially support and afford. Tuition breakdown: ADA is a 2 class minimum organization w/ Flamenco being it's focus of all education. Please refer to our website for more information. There are no refunds at this time, we can however add a monetary credit for the following season or sibling enrolled in ADA. Add/Drop are until November 1st, your tuition will be adjusted if you add/drop a class moving forward. There is NO refunds or credit transfers for the month of September. If ADA is not informed in writing of an add/drop, your monthly tuition will remain the same even if you drop a class. NOTE: Dancer who quits ADA after January 1st is financially responsible for the balance of their tuition, entry fees and costumes for the remainder of the year. Small claims court filing will be filed. At this time, No refunds/credit or make-up class will be given for dancers missing class due to vacations OR holidays, religious holidays. Parents are responsible to notify ADA if their child is going to miss two consecutive weeks of classes in order to receive a pro-rated tuition for that month. Only granted for July or August. . Please check our FACEBOOK page, our Website and our studio phone for up to the minute information and emergency recordings regarding closures. Due to our wide reach within our community; we observe the following federal holidays. All tuition has been prorated to reflect holidays. ADA members are students who are serious about learning to dance in a professional environment. ADA means commitment to ADA fellow dancers, parents and director. ADA is for students who are dedicated and who want to perform in professional environment and surroundings. Students should demonstrate consistency in attendance. Please remember, students who are constantly absent halts classes from advancing. ADA strives to produce the best possible dancers and performances as we receive many invitations to perform at community events, charitable showcases, TV, professional competitions and fashion shows. will receive the same training and are not obligated to participate in competition, recital is expected as this is their only performance opportunity. There is a maximum of 4 misses, after that a dancer will not be allowed to perform and no refunds on tuition/competition should be expected. This signed contract, and the entire package provided and is understood by the dance family. Participation in technique classes at all ADA rehearsals. ADA NO Cell Phone policy is fully enforced. Only water bottles are permitted in the dance studios. BULLYING -in person or cyber- WILL NOT BE TOLERATED and parents will be notified of expulsion. I will respect ADA facility with respect. I understand I am not permitted to interrupt teachers before, during, in between or after classes. I understand that if I am unhappy with a certain issue, I will not discuss it in the lounge or hallway. I will make an appointment and resolve it with the director and not allow misunderstandings to be facts. I understand ADA reserves the right to refuse students/families that do not comply with the above codes. Please respect the ADA brand/marketing on ALL forms of social media. Do not publish any content that would be damaging to the company, its employees, teachers, students, and followers, fans, and outsiders. To use ADA branded logos obtain a consent form from ADA Director and manager. By enrolling in ADA classes, I waive any liability , including death, against ADA, Director and it's entities on behalf of my child for any personal injury, death or loss of property while participating in any activity or any class offered by ADA . In case of an emergency illness or injury in which I cannot be present or reached, I give ADA permission to seek the necessary medical attention for my child. I give permission for my child to be photographed or videotaped while dancing. I understand that the photographs and video will be used by ADA for the purpose of publicizing/ promoting the studio's programs/ services included on the studio's website. Compensation will not be expected. I have read and understand the above handbook and I agree to abide by these policies while my child is enrolled in Alma Dance Academy NJ. Please note there are no refunds , only credits towards other classes/seasons. No refunds at this time will be honored.